Different ways to arrange your guests during the vow exchange. In the current era of wedding personalization, the reception tends to get a lot of attention. After all, it’s a little more of a free-for-all in terms of style and acceptable activities. When it comes to the ceremony though, people tend to feel more boxed in with their options. Sure, brides and grooms can write their own vows, but the general structure of nuptials tends to be the same. 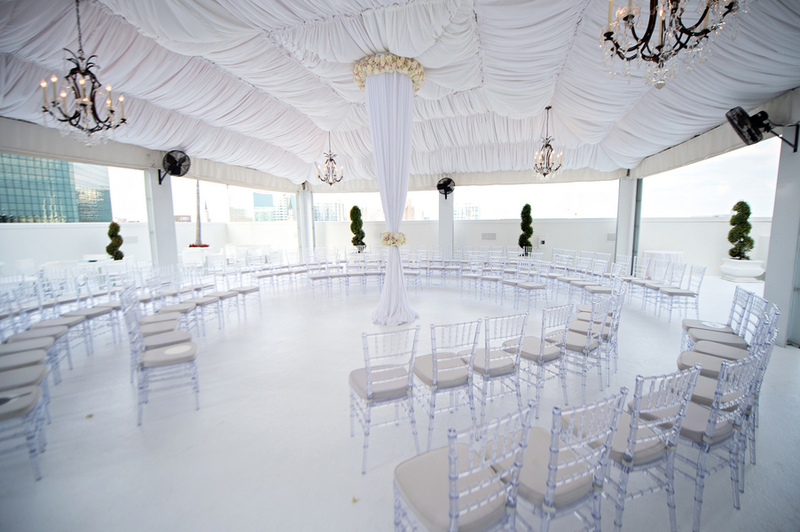 One way couples can add a personal touch to the proceedings is by arranging for unique ceremony seating. We don’t just mean using ghost chairs instead of the Chiavari style! While there is certainly an elegant practicality to the standard theater seating, we always love to see people come up with their own unexpected twist. Not every venue will be able to accommodate an unusual arrangement of chairs, especially for weddings with a large guest list, so don’t fret if your upcoming nuptials will have everyone seated in rows of straight lines. If you have some more freedom in terms of your ceremony space, take a look at four of our favorite seating styles from real weddings. Click each photo to see more from the celebrations, and browse through our ceremony décor gallery for further inspiration. 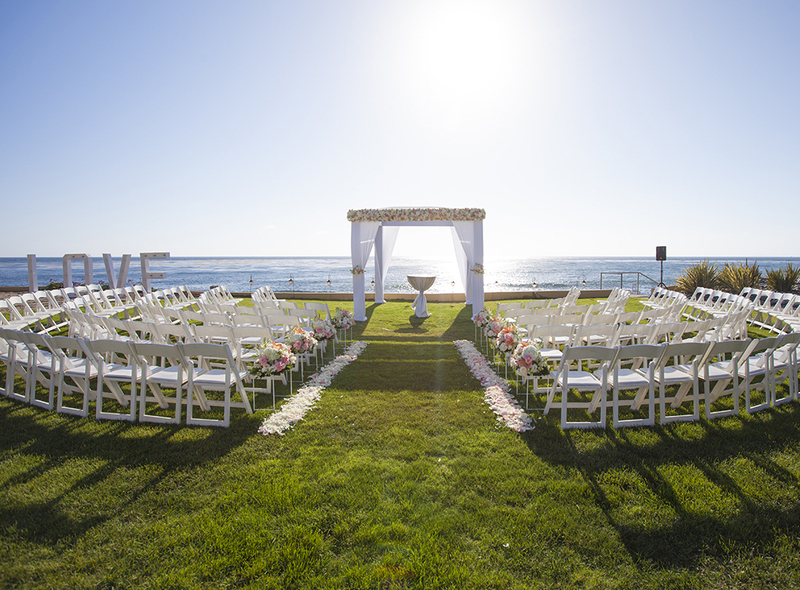 Defy expectations by creating an aisle with a turn towards your altar, with the arrangement of chairs helping to form the pathway. While you want your guests to enjoy the gorgeous view, you also want to hold their attention. Angling their seats in a half circle keeps their eyes on you. Even if they’re still arranged in standard rows, mixing individual chairs with loveseats and other lounge furniture will switch up the look of your ceremony. Surround yourself with the love of your friends and family by having seating organized in a circle around your vow exchange. For more wedding ceremony décor inspiration, see swoon-worthy floral aisle runners and amazing chuppahs from real weddings.